The medical school in Ponce, Puerto Rico seems like an unlikely place to start a revolution in education. While it may look unassuming, with its campus bordered by empty lots, low slung buildings, auto body shops and the freeway, Ponce Health Sciences University is ground zero for an experiment in education that could radically transform the way medicine is taught. It’s there, a few miles from a Hilton coastal beach resort on the southern part of the island that the investment firm, University Ventures, and its portfolio company Tiber Health, a public benefit corporation launched earlier this year, have planted a flag for a technology-enabled curriculum that the company claims can combat one of the world’s growing problems — a shortage of doctors. By 2025, the U.S. could find itself needing somewhere between 14,900 and 35,600 primary care physicians. Staffing shortfalls for certain specialists could reach between 37,400 and 60,300 physicians over the same period, according to a study by the Association of American Medical Colleges. 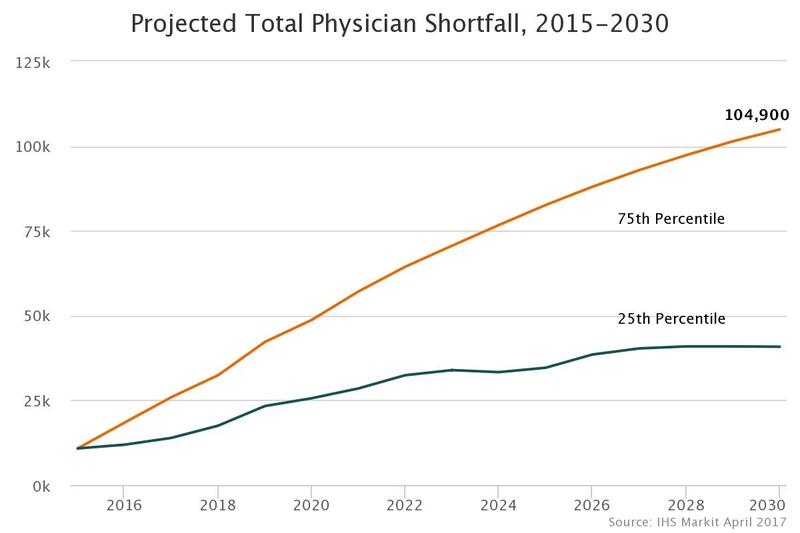 “These updated projections confirm that the physician shortage is real, it’s significant, and the nation must begin to train more doctors now if patients are going to be able to receive the care they need when they need it in the near future,” said AAMC President and CEO Darrell G. Kirch, MD, in a statement when the initial study was released in 2016. Rural parts of the country are increasingly becoming “healthcare deserts“, areas where there aren’t enough physicians to treat the needs of existing populations in the towns that dot the midwest and the desert southwest. And it’s a problem that’s especially acute in lower-income communities around the country. Another pressing issue, is the overall homogeneity of the medical profession in the U.S. An increasingly diverse population is seeing its needs met by an overwhelmingly white pool of doctors. Here, more data from the AAMC is illustrative. More diversity in the profession may allow hospitals to avoid the nightmare scenario that befell Willie Ramirez in 1980. After cruising around South Florida on a January night, Ramirez began complaining of a headache to his friend. As his symptoms worsened he made his way to his girlfriend’s house, where he blacked out. Ramirez, comatose, was taken by ambulance to a hospital in South Florida. During the two days he lay comatose, a misdiagnosis of a brain hemorrhage as a drug overdose left him a quadriplegic. The reason for the misdiagnosis? The physicians who admitted Ramirez didn’t understand the colloquial Spanish his girlfriend and her mother were using to describe his condition. If the issue seems bad in the U.S., the problems are even worse globally. In Uganda, the lack of skilled healthcare workers is a matter of life-or-death. 17 mothers and 106 newborns die daily because of lack of access to proper treatment and trained professionals, according to an estimate from the White Ribbon Alliance, an advocacy group. In China, the last count put the number of general practitioners in the country at 189,000. And even with the government pushing to hit 300,000 GPs by 2020 that still means there would only be 0.2 family doctors for every 1,000 people. What makes this dearth of doctors even more troubling is that problems around access to healthcare will likely be compounded by the increasing needs of an aging population (old people tend to be more sick). 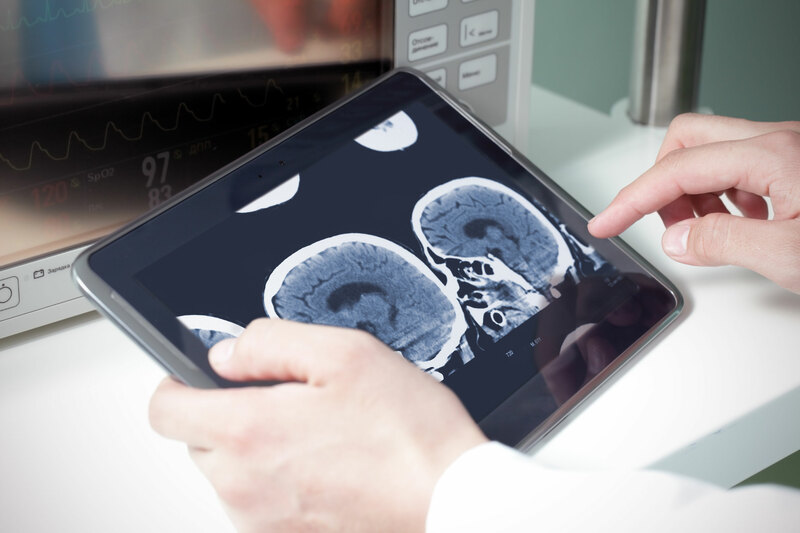 Venture investors have spent loads and loads of dollars trying to find new technology-enabled solutions to mind the gaps in the global healthcare system. By the end of July, venture investors were on track to spend over $6 billion on healthcare investments and may top the $7.5 billion that they poured into the category in 2015, according to a report from Silicon Valley Bank. Many of these deals are aiming to replace doctors with elaborate artificial intelligences, chatbots, and even robots to address the need for new physicians, but University Ventures and Tiber Health are taking Occam’s razor to the problem by backing a company that uses technology to better train more doctors. Tiber’s academic solution to the very non-academic problem of getting more people access to adequate healthcare has its roots in lessons learned (and taught) some 1,600 miles north of Ponce, in the lecture halls of Touro Medical College in New York City. That was where, in 2007, Daniel Pianko, one of the co-founders of University Ventures, met Dr. David Lenihan, the founder and chief executive of Tiber Health who was working as the Associate Dean of the Touro College of Osteopathic Medicine. Previously, Lenihan founded a system of outpatient clinics in the UK after receiving a Ph.D. in Peripheral Neuroscience from the University of Edinburgh, where he was also a peripheral nerve surgical fellow, a Doctor of Chiropractic from Palmer University. 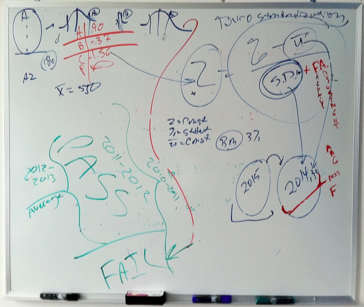 The idea sketched out on that humble white board (pictured left) still remains the core of the Tiber Health project. Lenihan’s thesis is twofold. The first is that medical schools are looking at the wrong signals to determine who they accept. And once accepted, university resources are misallocated by focusing on having professors lecturing to students instead of providing more interactive and practical examples of lessons in the classroom. Lenihan first began changing admissions guidelines and teaching practices at Touro. He expanded the number of students admitted to the medical school and told teachers to start recording their lectures and distributing them before class. In the classroom students were quizzed and assessed on their ability to understand and retain the material. It allowed teachers to identify areas where students were falling behind and begin tailoring the lessons to meet individual students’ needs. This new teaching paradigm also let educators determine who would be best pursuing a different path in their studies of medicine. Underperforming students could be referred to nursing school or technical fields where they could still become health care professionals (even if working as a doctor was beyond their ability). With the success these education innovations had at Touro (admissions were up, students were being accepted into top residency programs, and in-class performance was up across the board), Lenihan began looking for a way to expand on his innovations. So in 2013, with $40 million in financing from Pianko’s University Ventures, Lenihan and Pianko bought Ponce’s medical school. The idea was to use the school as a test case for Lenihan’s new approach to med school. If it worked, the two men would look to create Tiber Health medical schools around the world. The company could train better doctors, more efficiently, and arguably, for a fraction of the cost of a traditional medical school. It’s an audacious plan, but one that’s vital to ensure a healthy population in the U.S. and around the world. The investment is also a big gamble for University Ventures. SEC documents indicate that the firm raised roughly $140 million for its latest investment vehicle, which closed in 2015. And what exactly is in Lenihan’s playbook for revolutionizing medical school? It’s mainly an expansion of the applicant pool for schools, pre-recorded lectures and frequent in-class testing with existing quizzing software, and a back-end tool to analyze student performance that can then be applied to the next pool of applicants to the university. Already, Tiber Health’s predictive analytics, culled from 10 years of historical student data, has uncovered certain insights into how students will perform over time, the company said. None of it is rocket science, but according to former Dean of the Faculty of Medicine at Harvard University, Jeffrey Flier, it’s a radical reconfiguration of traditional medical school practices… and one that’s overdue. According to Flier, teaching medicine hasn’t changed that much in the past century, and a reconfiguration of class dynamics to incorporate modern technologies just makes sense. Now, Harvard is beginning its own experiments with online education to help incoming students prepare, and give potential applicants a taste of what the medical school curriculum is like through its HMX program. Using Tiber’s methodology, local faculty tailor the curriculum to the cultural nuances of care in their communities and administer real-time assessments. It’s been two years since Ponce Medical first implemented Lenihan’s program from Tiber Health, and the results are impressive. ILCME Board pass rates have increased from 69 percent to 87 percent, and students matched with residency programs rose 4 percent from 85.5 percent to 89.5 percent. At the same time operating costs at the school dropped by $7 million and medical degree applications increased by 30 percent. The company expects to expand (and license) its new learning methodology to ten partner universities globally by the end of the year. And Pianko and Lenihan are in negotiations to build Tiber Health enabled medical schools in several countries across South America and Africa. Lenihan said that the company’s curriculum could enable the foundation of a new medical university in just one year and for one-tenth the cost of a new school in the U.S.
For schools that want Tiber Health’s technology and methodology, the company is happy to sell a packaged version of its curriculum. That means schools get Tiber’s tech stack (curriculum, assessments for students, analytics software, clinical management and software for educators). Or, anyone with the money can start a new school “powered”by Tiber, according to Lenihan.